The Hospital Management Institute of Fudan University in Shanghai released a list of the top 100 best hospitals in China, which is evaluated by over 1300 medical experts specializing in 28 different clinical fields. The director of the institute Gao Jiechun said key criteria such as top specialties, medical care, expertise team, service innovation ability and the estimation of patients, were used. Through the list, distinguished hospitals will become aware of their own comprehensive strength, compared to their counterparts, and patients are provided with a guide for hospitalization. Mr. Erich Paulum, a German doctor, founded the Tongji Hospital of Tongji Medical College of Huazhong University of Science & Technology, in 1900, in Shanghai. The hospital moved to Wuhan, capital of Hubei province, in 1955. With a 110 years of development, it has grown into a modern hospital, integrating medical care, teaching and research. The hospital, with a total of 4,000 beds, comprises 52 clinical and paramedical departments, among which eight focus on national key disciplines. The Tongji Hospital also has a Department of Rehabilitation, which was designated as a training and research center by the World Health Organization. 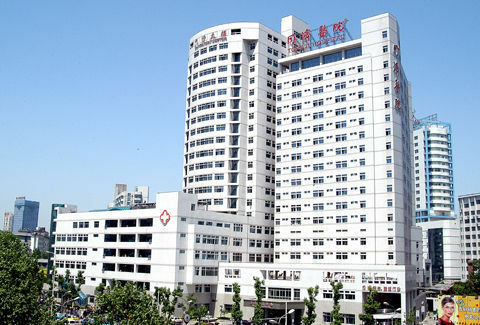 The Hospital Management Institute of Fudan University in Shanghai released a list of the top 10 best hospitals in China.